Naval personnel from the battleship HMS Duke of York (launched 1940) standing on the deck of the ship beside a shell that has been inscribed, circa 1942. 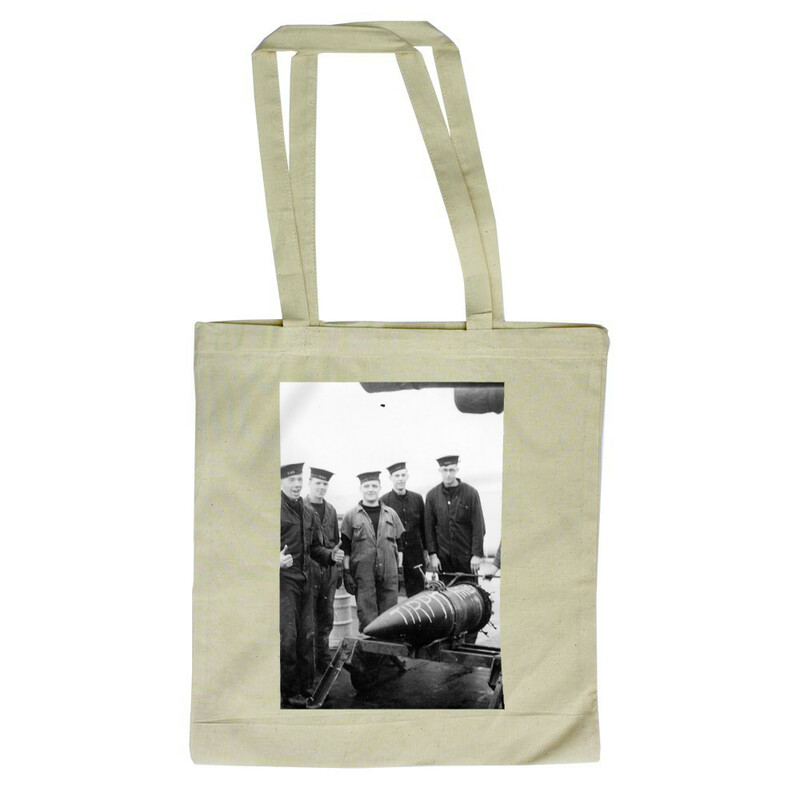 This 14inch Shell and Barrow Party on HMS Duke of York Tote Bag is created using state of the art, industry leading Digital printers. The result - a stunning reproduction at an affordable price.